Have you ever dreamed of becoming a Prima Ballerina assoluta? Dancing so gracefully that you float across the stage in a whirl of white light and sparkling elegance. That is the dream of Povik, the town’s music box maker, to see the dreams of would-be ballerinas come to life when they open the special boxes he creates with love. Stricken with polio at an early age, Povik works his personal brand of magic bringing to life each of his tiny ballerinas. Carefully choosing every exquisite detail, Povik knows that something special awaits both the ballerina in the box and the new owner she dances for. 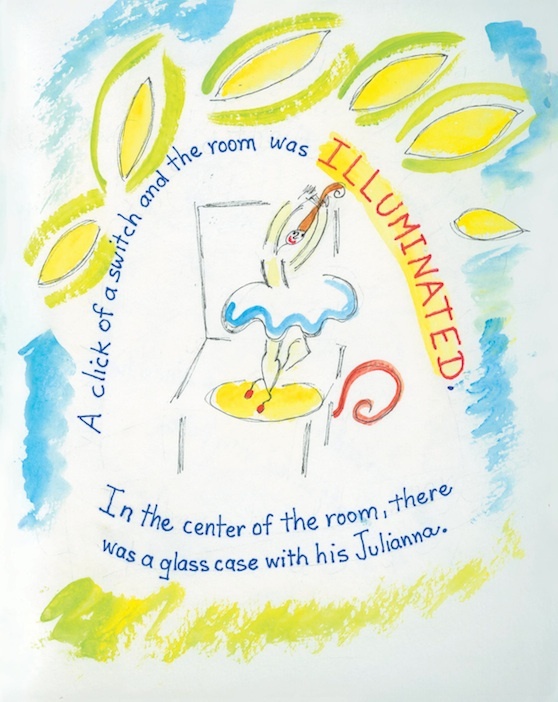 But for one special ballerina in the box, Julianna, the magic is in the inspiration she brings to a very special dancer, Nikolai. For a boy, the challenges of becoming a ballerino or danseur as known in France, can bring the dream to a sad end. After all, boys aren’t supposed to like ballet, are they? But through the support of a loving family and Povik’s beautiful ballerina in the box, Nikolai learns that dreams can come true, whether you are a girl or boy. 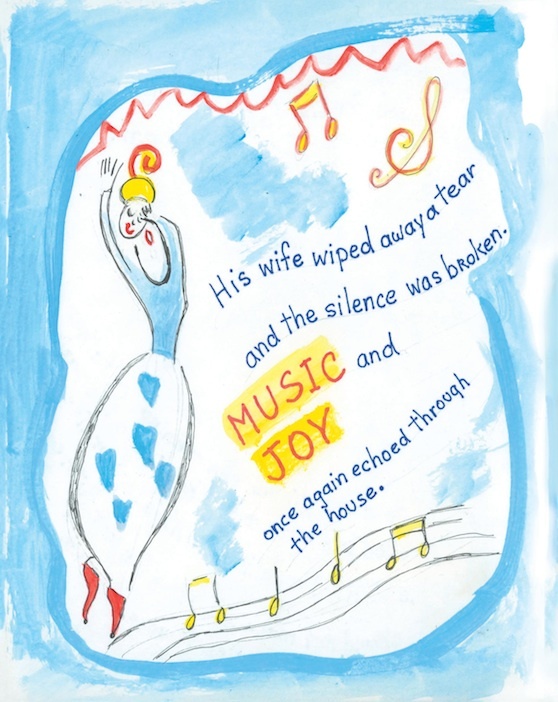 Once again Thomas V. Seminara, author of The Boy and The Yellow Cheese and I Like Hot Dogs, joins with the amazing artistic talents of illustrator, Naomi Malka Litzenblatt to create a story that is inspiring and conveys a message of love and acceptance. 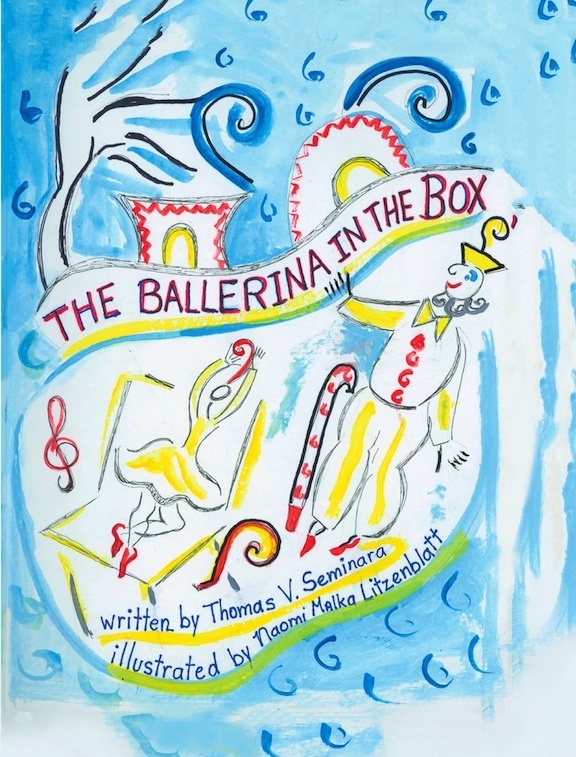 With The Ballerina in The Box, Seminara shows us how dedication and believing in yourself can lead to great achievement, even when other people want to keep you boxed in. Have you ever dreamed of becoming a Prima Ballerina assoluta? Dancing so gracefully that you float across the stage in a whirl of white light and sparkling elegance. That is the wish of Povik, the town’s music box maker, to see the dreams of would-be ballerinas come to life when they open the special boxes he creates with love. Stricken with polio at an early age, Povik works his personal brand of magic bringing to life each of his tiny ballerinas. Carefully choosing every exquisite detail, Povik knows that something special awaits both the ballerina in the box and the new owner she dances for. But for one special ballerina in the box, Julianna, the magic is in the inspiration she brings to a very special dancer, Nikolai. For a boy, the challenges of becoming a ballerino or danseur as known in France, can bring the dream to a sad end. After all, boys aren’t supposed to like ballet, are they? But through the support of a loving family and Povik’s beautiful ballerina in the box, Nikolai learns that dreams can come true, whether you are a girl or boy. so you won’t miss a post!